these pieces are not for sale! 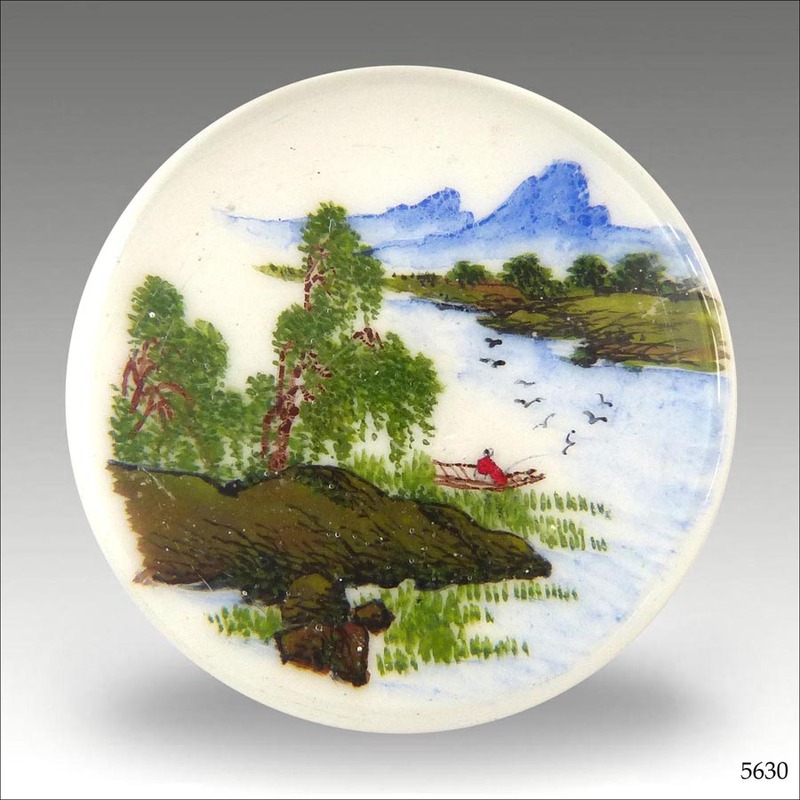 Chinese Whites were made in China for export in the first half of the 20th century. 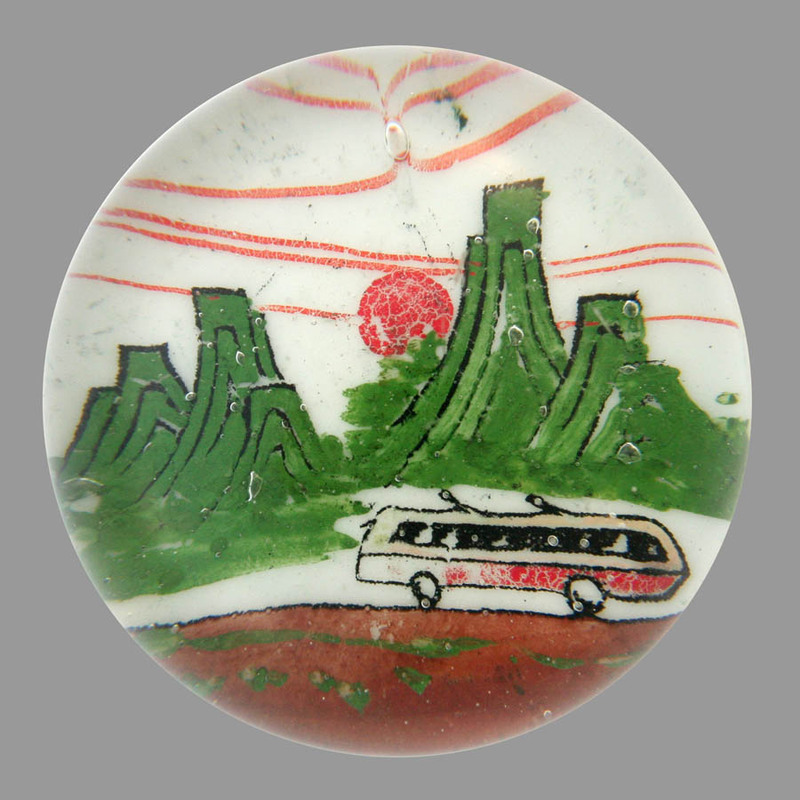 The images are painted in enamel colours on an opaque white glass disk, which is then encapsulated in molten glass. 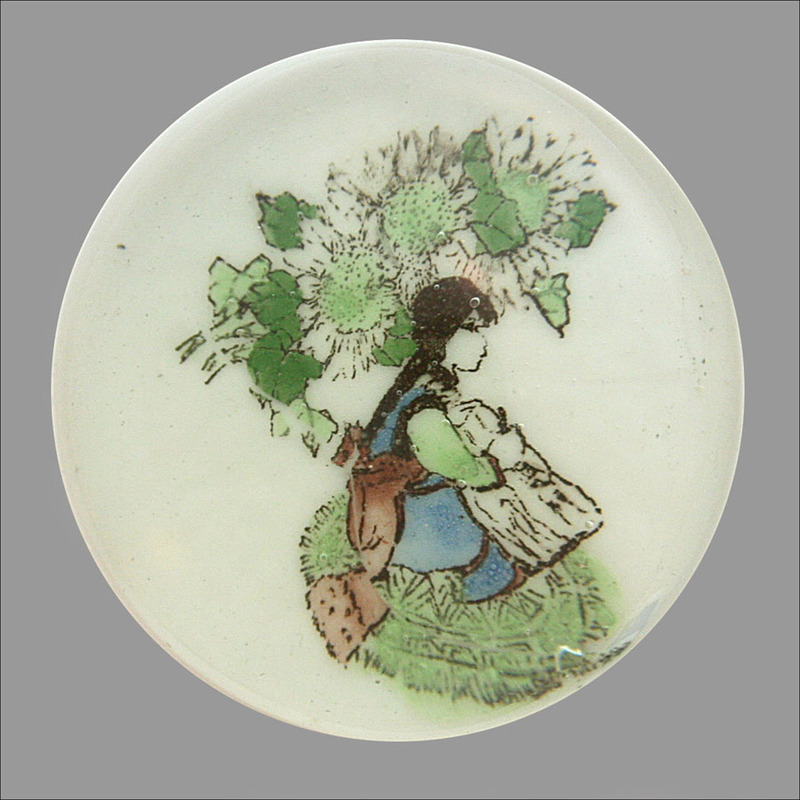 The following link is a short article that I wrote on Chinese Whites which touches briefly on the frequent symbolism represented in the images. 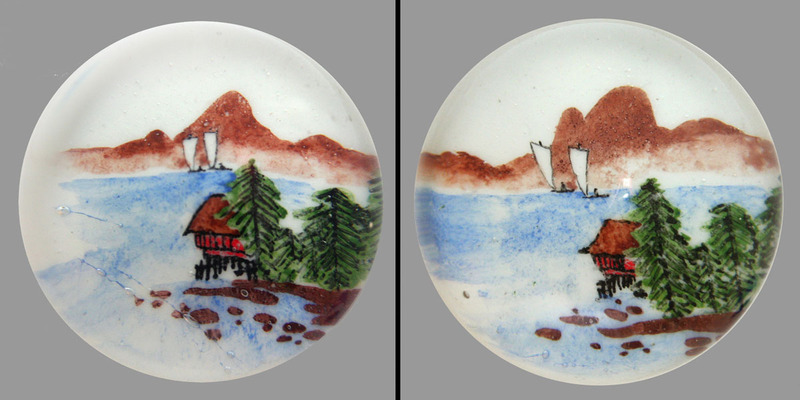 Be careful not to confuse these paperweights with the more modern reverse painted paperweights, where the design is painted directly on the back of a clear glass lens and can be seen from both sides. 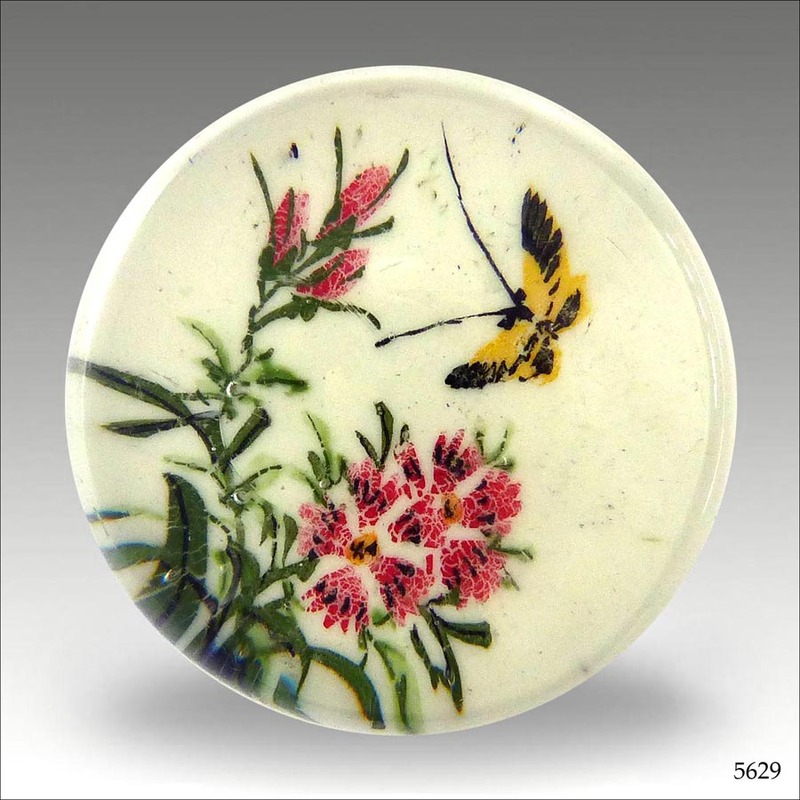 Most are 'standard' size at about 70 mm diameter, but a few miniatures and magnums exist, as do a few ash trays. 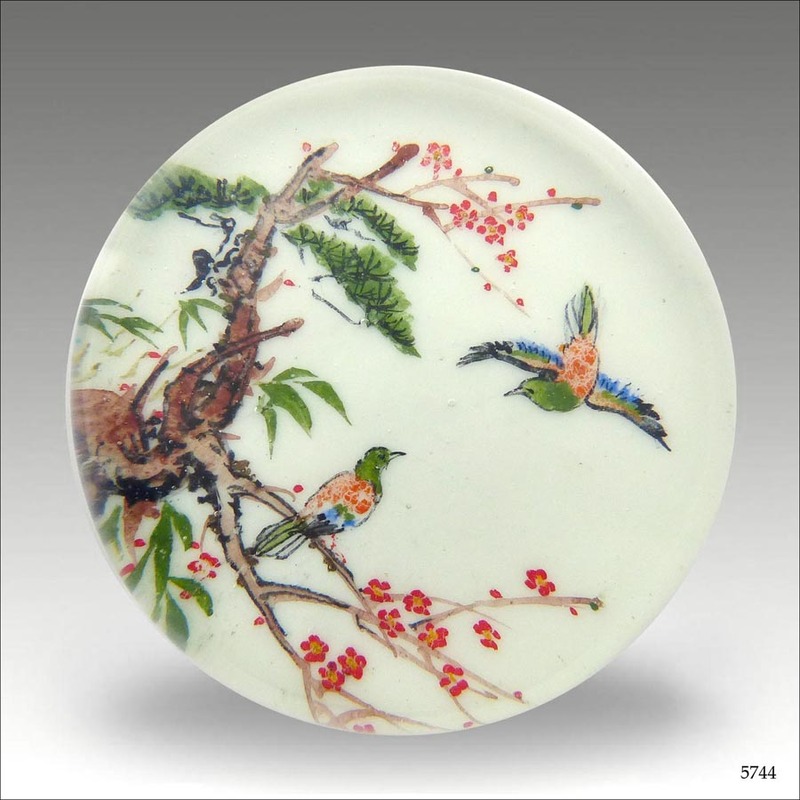 This Gallery of images is arranged broadly by image theme - click on an image to go to more examples of that type. The number indicates how many are shown in each category. You can find similar but not identical examples of designs. I am grateful to all the collectors who have provided me with images, including Dave Webber, Sophie Boyron, Christine Hudson, Marc Pieras, Rick Pfliger and Peter Metcalfe.